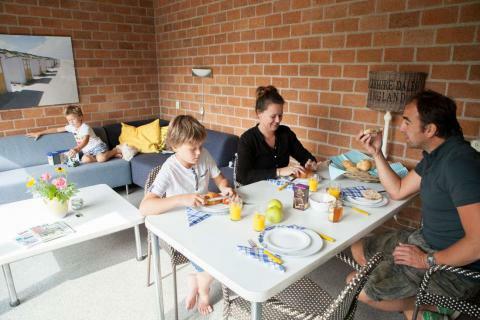 Bungalowpark AanNoordzee in St. Maartenszee - the best offers! Bungalowpark AanNoordzee is located in St. Maartenszee in North Holland. This park is right on the dunes and wide sandy beach. 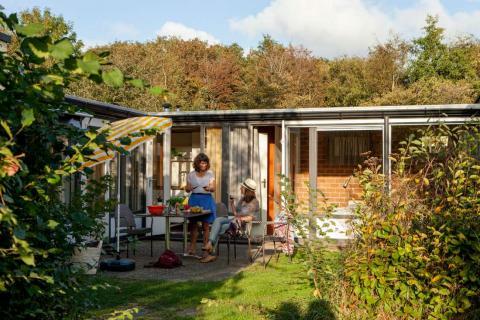 Enjoy the unique nature of the Netherlands at Bungalowpark AanNoordzee. This price applies to Baby Special, with the arrival as 3 June 2019, 4 Nights. This price applies to 4-person cottage, with the arrival as 3 June 2019, 4 Nights. 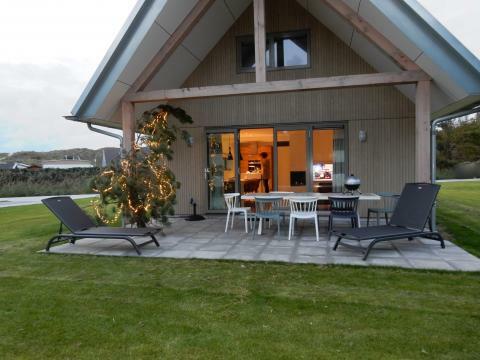 This price applies to 4-person cottage De Luxe, with the arrival as 26 April 2019, 3 Nights. This price applies to 8-person holiday house Villa Veranda, with the arrival as 11 June 2019, 3 Nights. 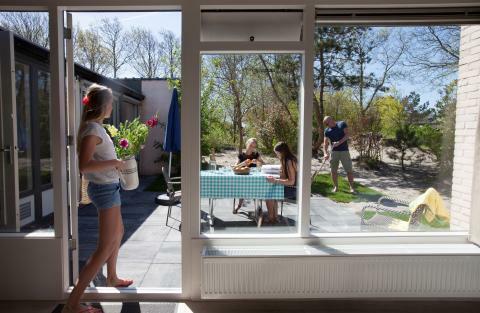 Bungalow AanNoordzee is located directly on the dunes of the North Sea in St. Maartenszee, a beautiful and child-friendly coastal area in North Holland. You can find everything you need there, from restaurants, to beach pavilions, supermarkets, and a fresh bakery. The holiday park is centrally located, making it the ideal base for excursions in the area. There is also plenty of cycling and walking to be done! Kids are sure to have a fantastic time here on the various playgrounds scattered around the park. They can also have fun playing table tennis! Bungalow AanNoordzee has no restaurant, but there are many restaurants nearby. In St. Maartenszee, there are several restaurants and a supermarket. Fancy a refreshing dip in the pool? Then you can go to the swimming pool in St. Maartenszee. Take a lovely bike ride along the coast and see the beautiful and varied natural surroundings. If you want to visit a city, go to the naval city of Den Helder and visit the Marine Museum. You can also go to the traditional Dutch city of Alkmaar and visit the historic cheese market! The park requires a deposit of €85 per accommodation. For the group accommodation Veranda Duinhuis the park requires a deposit of €200. The costs for electricity and gas are included in the deposit.